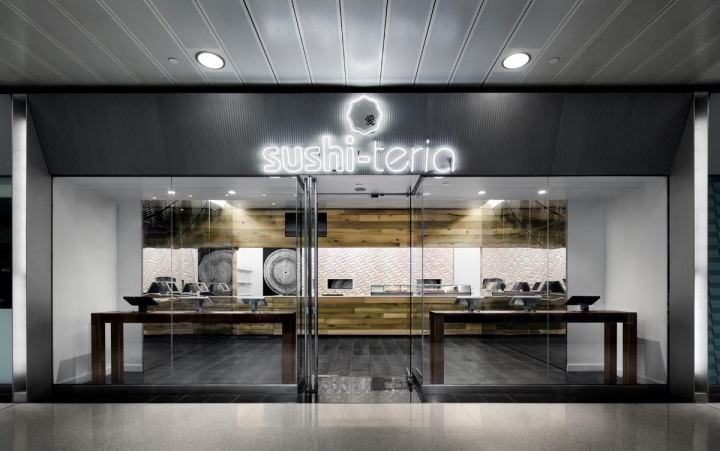 Sushi-teria is a 1000sq/ft sushi restaurant located in the atrium space of the Citigroup Center that utilizes an innovative new ordering technology that combines ios apps with bespoke made to order sushi. 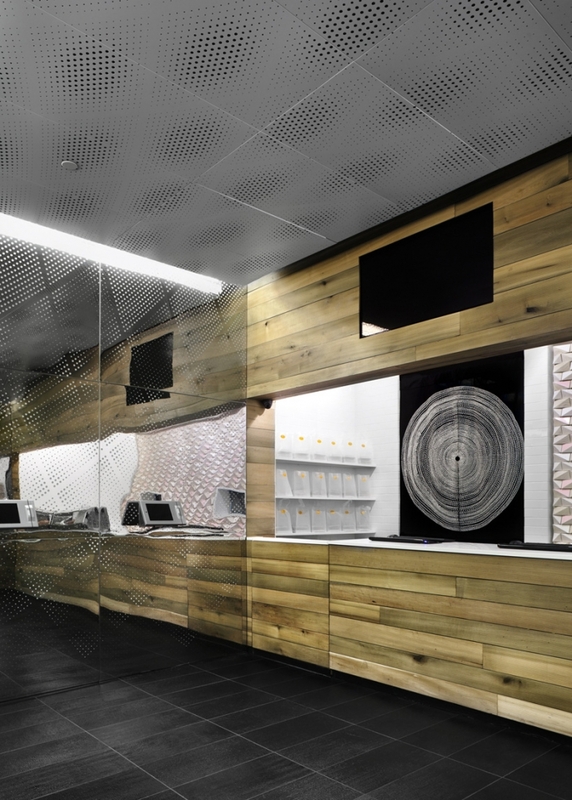 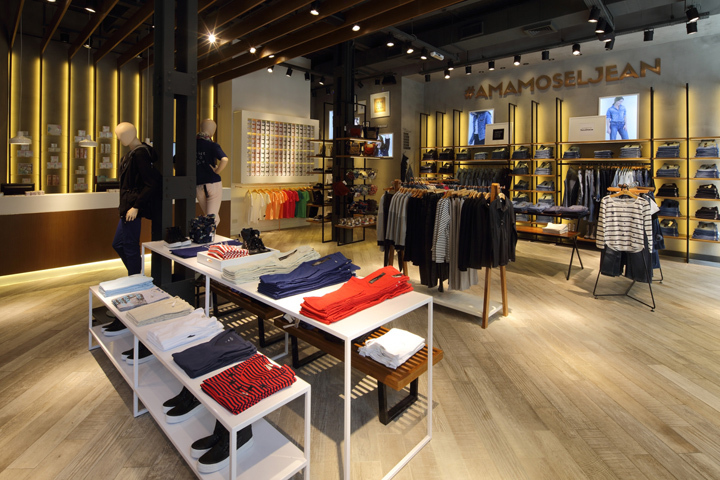 With half the space allocated to a 14 person staff in the restaurant operation, the strategy was to maximize the remaining space through a set of surface textures that were seen to function as cultural signifiers or triggers. 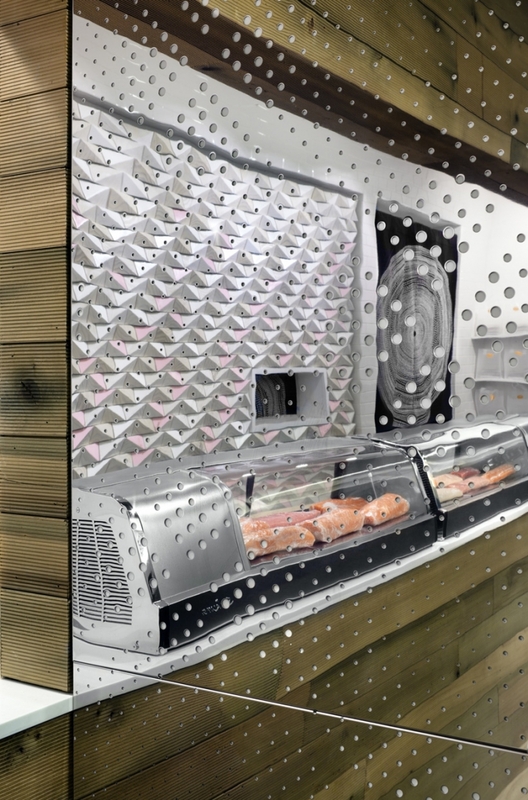 First by wrapping the floor in a hand tooled black kadappa stone, then continuing up the walls with a mirrored polished stainless steel that is backed with a pre painted aluminum. 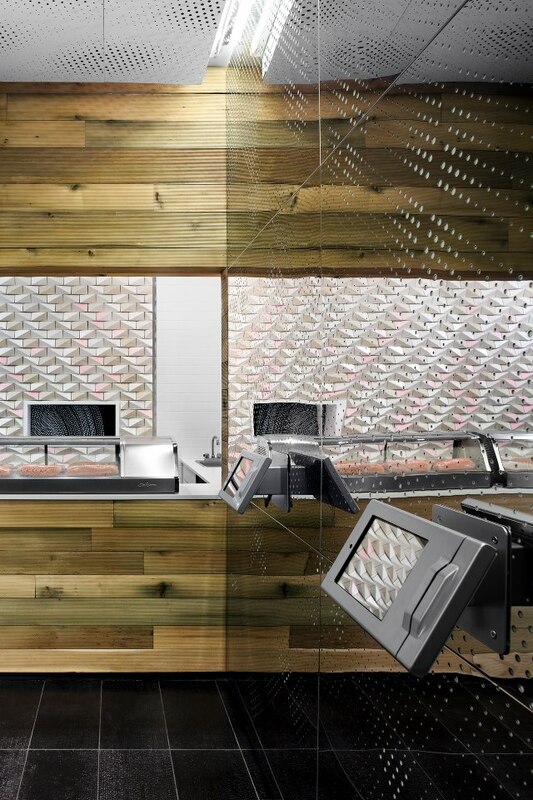 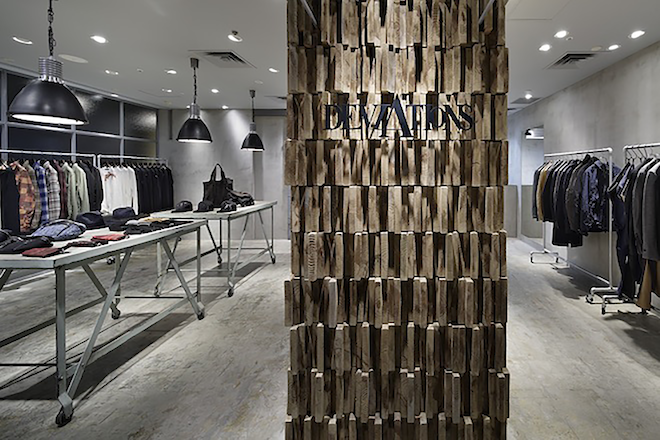 This then continues on to the custom hung ceiling with a custom perforation pattern that wraps wall and ceiling invoking atmospheric effect of both the fog in its expanse of diminishing reflection of mirror as well as the fisherman’s woven net looming from above. 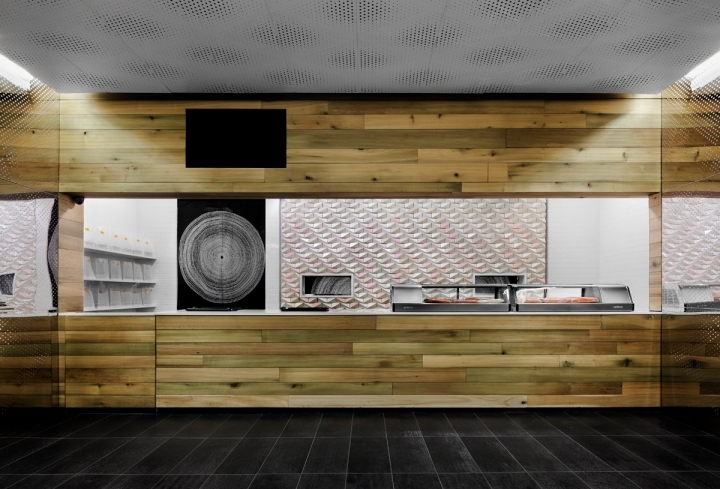 The final surface resides on the wall behind the sushi chefs and is visually framed by the raked reclaimed poplar. 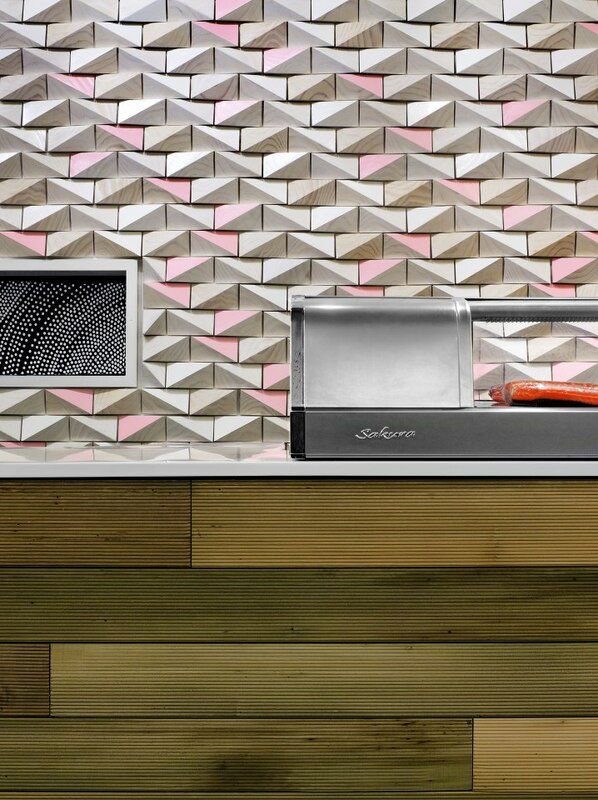 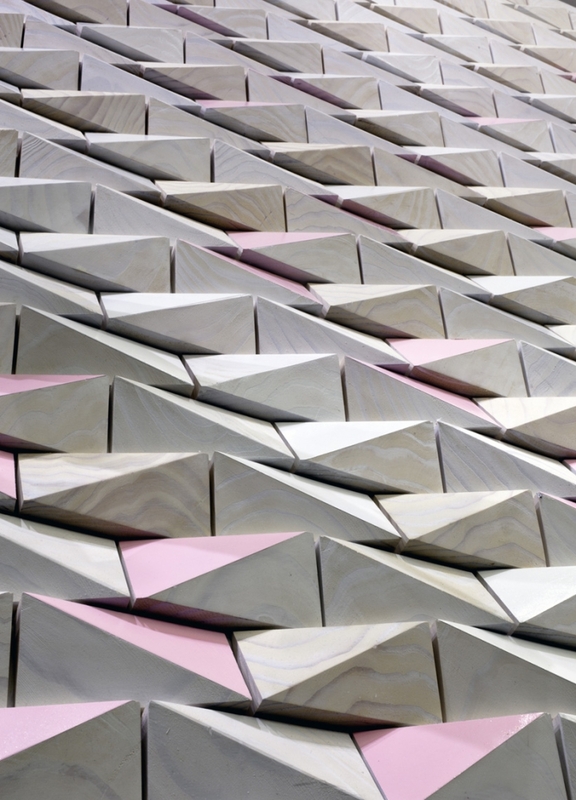 Set within white subway tiles, 800 individually cut pieces of clear pine were whitewashed pickled and then finished with a gloss white and pink to produce a caustic shimmering effect much like the play of light on a morning sea.